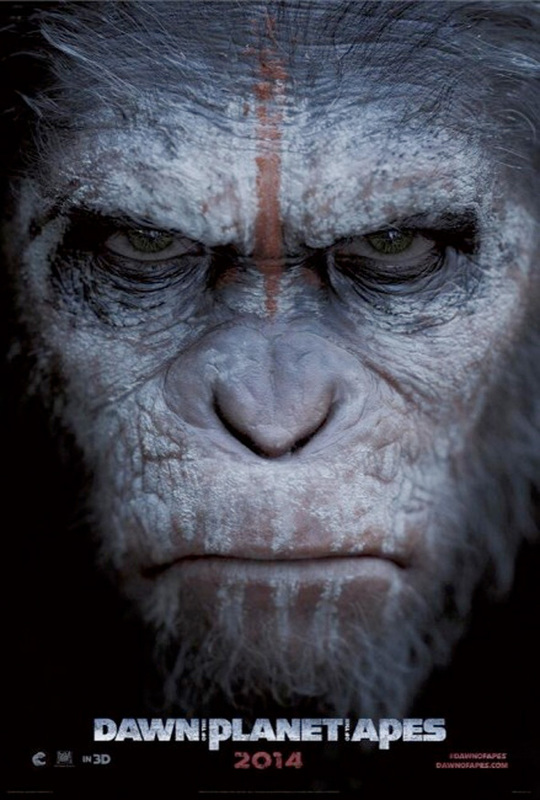 We've seen Caesar in war paint and Andy Serkis riding a horse on set in photos from Dawn of the Planet of the Apes, the sequel to the surprise success Rise of the Planet of the Apes, and now the first batch of teaser posters are here showing the ape revolutionaries in ready for battle. These might be part of one large banner for the sequel, but they're all show in parts on the film's official website. In addition, we have word that the first trailer for the film will arrive on December 18th, and you'll likely see it in theaters when Fox's The Secret Life of Walter Mitty hits theaters a week later on Christmas Day. See posters below! 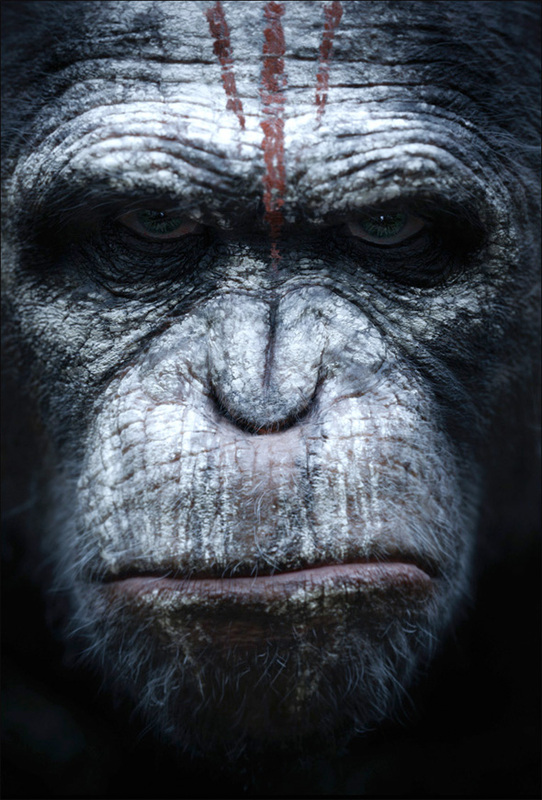 Dawn of the Planet of the Apes is the sequel to Rupert Wyatt's Rise of the Planet of the Apes. Directing is Matt Reeves, of Let Me In and Cloverfield previously, from a screenplay written by Mark Bomback, Scott Z. Burns, Rick Jaffa and Amanda Silver. 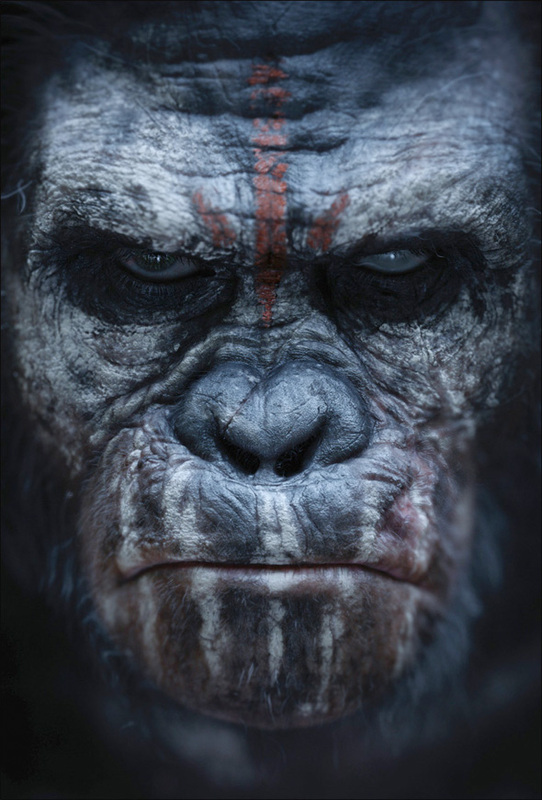 A group of scientists and survivors (Jason Clarke, Keri Russell, Gary Oldman & Kodi Smit-McPhee) in San Francisco struggle to stay alive in the aftermath of a plague wiping out humanity, while Caesar (Andy Serkis) tries to maintain dominance over his community of intelligent apes. 20th Century Fox has the sequel scheduled for release on July 18th, 2014 next summer. Excited yet? Wow, if these are CGI. They look fantastic!!! Most, if not all, are mo-caps w/ CG'd overlays. I know Cesar (obviously), and the orangutan are. 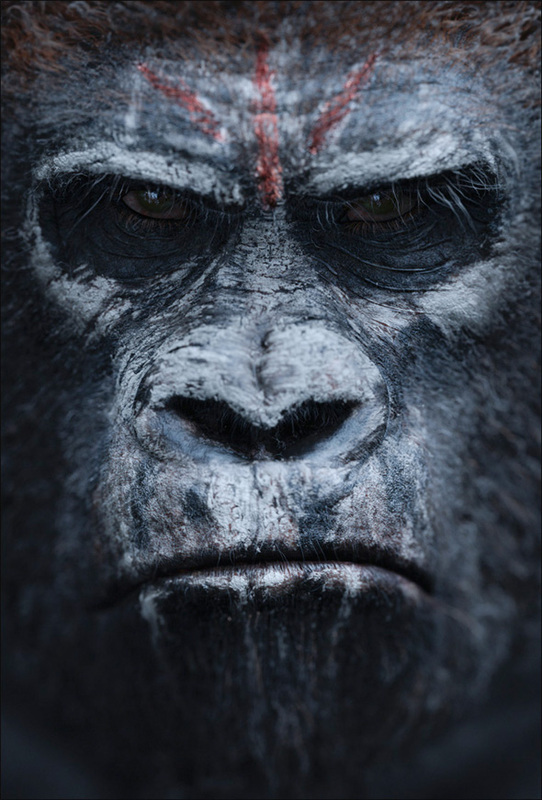 IIRC, only mass-shots w/ many apes (a la crowds), are completely CGI'd. I'd like to know what OTHER films it'll be attached to (or released on the Net) - TSLoWM is not on my gotta-see list for this season... too many trips to Middle Earth w/ fam & friends instead. I'm really glad they set this further in the future, not immediately after Rise. Can't they use real animals instead of mocap and CGI effects. True, my favorite monkeys are still the ones in 2001 though. Where's the war paint profile picture of Maurice? He's gotta be the best ape of the troop! Looking forward to also seeing Buck's replacement. I'm curious if in this sequel the apes will be talking in full sentences or just a couple key words? They look very grumpy. When are we going to see happy apes?